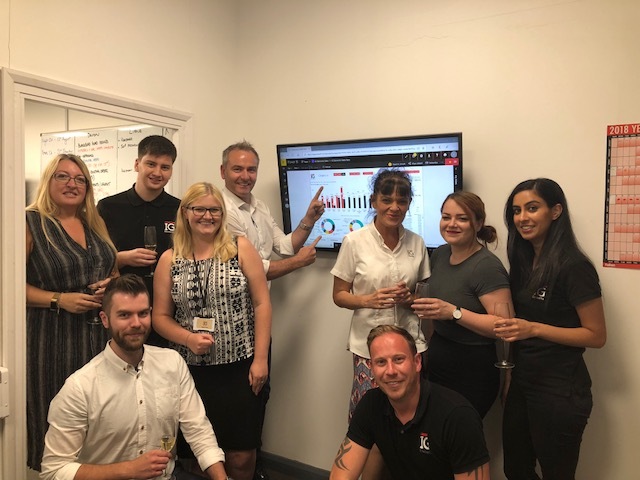 It’s a time to celebrate at IG Elements as June 2018 saw them achieve their best monthly sales figures since the company was established in 2011. IG Elements is an offsite component manufacturer providing house builders and architects with quality composite products including entrance canopies, dormers, chimney stacks, bay window roofs and door and window surrounds. As house builders continue to adapt to new challenges within the industry such as increased demand for housing and a shortage of a skilled workforce, offsite manufacturers such as IG Elements are providing solutions to overcome these challenges. The IG Elements product range is manufactured in a factory environment ensuring the product meets high quality standards. The product design allows for quick and easy installation minimising the need for skilled tradesmen on site and avoiding any time delays due to external factors such as adverse weather conditions. Liam Kelly, Managing Director at IG Elements commented “With IG Elements ever increasing stature within the GRP market we are pleased to announce our best ever sales month on record. So far this year we have seen the business grow from strength to strength. We are continually investing in new innovative production methods to respond to the needs of our customers and help house builders overcome the major challenges in today’s construction industry.